If your HTC One X Plus has started to present erratic behaviour, maybe it’s time to reset Android on it, and return it to it’s factory settings. When you reset Android you will delete your Google account on the phone, all accounts you have added to your sync settings, the apps you have installed, the personal data you have created, like calendar, contacts, etc., on your phone, and all system and app settings. In this tutorial we will explain two ways of reseting Android. You can use one of the methods if, for example, you have forgotten your active lock pattern. Before starting to reset Android on your HTC One X Plus, please make sure the battery of your device is fully charged. This will avoid any unwanted shut downs mid-process. If you still have access to your HTC One X Plus’s applications menu, the first method is the one you need. If you have forgotten your lock pattern, you will need to use the second method. To reset Android, access the Applications menu on your HTC One X Plus and then select the option Backup & reset. Then press on Reset Phone, and decide if you want to erase all the data on your SD card, in which case you have to select Erase all data. Once you press OK, the process will start automatically. Press the Volume Down button and the Power button at the same time. Let go of both buttons when you see the an image on the screen representing three androids. On the menu that shows up, use the volume keys to move up and down and select Factory Reset. Press the Power button to confirm your selection. After confirming that you want to reset Android, your phone will automatically start the process and reset itself back to factory settings. When your HTC One X Plus restarts it will be as it was when you first took it out of the box, ready for you to configure it just the way you want it. And just like that you have reset Android on your HTC One X Plus! In this tutorial we will show you how to reset Android on the HTC Desire 820, using any of the two methods we will describe. Your HTC Desire 820 will end up with a clean operative system, without any lagging or malfunctions, just like out of box. This also comes handy if you want to sell your device, or give it away for someone else to use, and want to get rid of all the personal data stored in it. Also, if you have set a lock pattern on the HTC Desire 820, and forgot what it is, all you have to do is reset Android, and you’ll regain control of your device. Before starting with any of the two methods, please make sure the battery of your cellphone is charged up to at least 80%. Select Erase all data, if you want to return your phone to factory settings, deleting all media and other personal documents. Select Erase SD Card if you want to delete everything from there as well. Press OK and the process will start on its own. Make sure your device is completely turned off. Press Volume Down and Power button together, until you see three android logos on the screen. Use the Volume buttons to navigate through the options, until reaching Factory reset, and press the Power button to select. 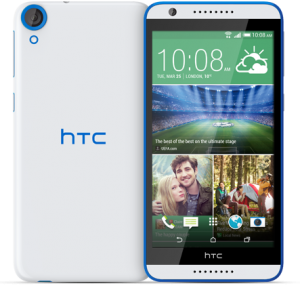 Wait a few minutes for your HTC Desire 820 to restart with factory settings. You’re done! You have now reset Android on your HTC Desire 820! It’s time to reset Android on HTC Desire Eye to return it to it’s factory settings. If you have detected erratic behaviour from your, it might be time to reset Android, or maybe you have forgotten the lock pattern you set a while ago. There are two methods to reset Android and in this tutorial we will explain both. You will use the first one if you can access the Applications Menu of the HTC Desire Eye. The second method is for when you have a fatal error on the OS, or if you forgot or don’t know the lock pattern the HTC Desire Eye. If you select Erase all data, this process will delete all media, your documents, and other files stored in your phone. If you want to delete everything stored in your memory card, too, select Erase SD card. Tap on OK to start the process. 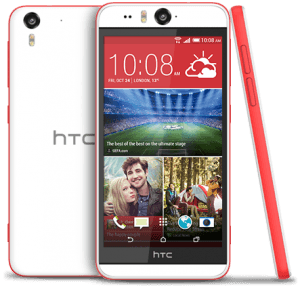 If your HTC Desire Eye is not responding, or you can’t access it’s OS because for any number of reasons, you will use this method to reset Android on the device. Turn off your HTC Desire Eye completely. Press the Volume Down and Power buttons at the same time. A menu will show on the screen. Using the volume buttons to move between the options, select the Factory reset, and use the Power button to accept the selection. The reset android process will start, and your phone will restart itself once it’s done. 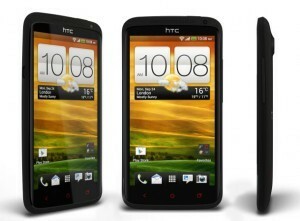 You should now have a HTC Desire Eye as out of the box, having reset Android on it!